"Child travellers and accompanying adults will only be stopped and asked questions, and possibly be required to provide additional documentation in exceptional cases where there may be grounds for suspicion or in 'high risk situations'." 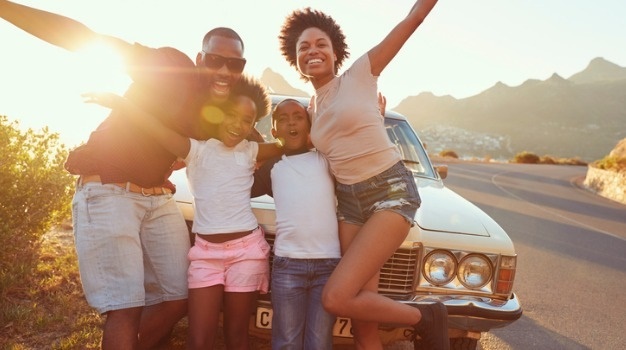 This follows a release by the Department of Home Affairs (DHA) on the gazetted changes being put into effect for South Africa's child travellers since 1 December - ahead of the festive season when many parents and families will be going on holiday with children. A source has told Traveller24 several international airlines have complained that they haven't received any official communication regarding these changes. Traveller24 has contacted several key airlines servicing the SA market and is awaiting a direct response. International Air Transport Association (IATA) spokesperson Linden Birns notes that the Timatic travel advisory system (also used by travel agents) is continually updated to reflect any visa and immigration regulation changes in all countries worldwide. "IATA notes the amendments to South Africa’s visa regulations pertaining to children under 18. While this is a positive development, they stop short of what the travel and tourism industry have been calling for and it remains to be seen if the changes will result in the much-needed boost in tourism that South Africa’s economy needs right now,” says an IATA spokesperson. The Department of Tourism also says it's liaising with the airline industry and there will be further communication when the airlines have updated their systems and are ready to board passengers according to the amended regulations. Southern Africa Tourism Services Association's CEO, David Frost says: “The amended regulations continue to be confusing and remain a deterrent to family tourism to South Africa. Amending the wording has done nothing but provide an obfuscated message to our overseas tourism partners and travelling consumers." Not sure what the amended regulations mean? The Department of Tourism has issued a special information page detailing the following. Relatively minor changes will be brought into effect by the amended regulations in respect of South African child travellers entering or leaving South Africa. New South African child passports are being issued containing details of the parents as a standard feature. Children travelling with both parents and in possession of such a passport need no other documentation, whilst children travelling with both parents and on a passport that does not have those details will still be required to carry a birth certificate (unabridged) with the details of their parent(s). South African children not travelling with both parents will still be required to produce additional documentation, including consent letters, adoption orders, custody or guardianship papers and death certificates, as the case may be. However, the consent letter no longer has to be on a Department of Home Affairs (DHA) template or be an affidavit, and copies of documents are sufficient and need not be certified. In the event of a minor not travelling with both parents, but travelling with an adult, other documentation may be requested and it is strongly advised that such documentation be carried, being a birth certificate and other supporting documents such as a letter of consent, court orders or death certificate(s) as appropriate. A birth certificate (copy) to satisfy the immigration processes should contain details of the parent(s). Should the adult(s) travelling with a child on a visa change from what was stated on the visa application due to unavoidable short term circumstances, the travelling adult(s) are also advised to carry the same documentation as above (for visa exempt travellers).